The following check digit calculator is provided by Bar Code Graphics, Inc., the leading provider of GS1 support services in the US and specialize in barcode creation and identification implementation. Our services are utilized by the major retailers, manufacturers, ad agencies and coupon processors. In addition, our online barcode web service is the only software to receive GS1 US certification for digital barcode artwork. Please call us at (800) 662-0701 for assistance. If you are using the check digit calculators below, chances are you are manually working incomplete UPC/GTIN-13/GTIN-14/SSCC-18 data and that should be alarming. The full 12/13/14/18 digit identification strings should be automatically provided by either your data provider, consultant or barcoding software. The ramifications for identification mistakes are enormous and you might think about how remove these potentially problematic manual processes. While our check digit calculator is a valuable tool, many aspects of assigning and maintaining compliance require a much more substantial resource. Our GS1 Barcode Support provides personal, comprehensive service to your company. Clients are assigned a personal consultant who will assist with UPC barcodes, GTIN-14 assignments, barcode production, and product information. Click on the image below to view a tutorial video. The last digit of a barcode is called a “check digit”. A check digit ensures that the barcode is correctly composed. To calculate your check digit, use our easy calculator below. Simply enter the first numbers for the barcode you wish to create a check digit. 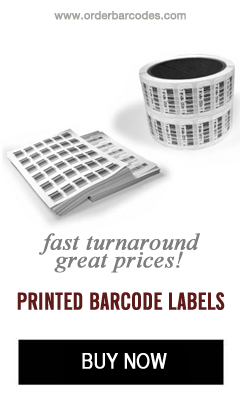 Identification Labs is the barcode testing and certification division of Bar Code Graphics. With Bar Code Graphics deep rooted history in barcode origination and the printing industry, Identification Labs provides unparalleled evaluation and support for linear and 2D barcode verification. Our testing division integrates and applies relevant barcode standards and industry best practices within our clients and partners’ supply chains. Identification Labs is the largest North American barcode testing center for barcode symbols, and our web-based testing programs is utilized by several of the largest U.S. retailers and manufacturers. In addition to supporting GS1 standards for the compliance of many US retailers, Identification Labs provides services to the Automotive and the Electrical Component Industry Association.